Garth Richards leaving the Hall of Justice yesterday. Photo by Enrique Assoon. THE former security guard who testified that he accidentally shot his wife’s former lover in the face in 2007, was acquitted yesterday of attempted murder. Garth Richards was also found not guilty of shooting with intent, and of the alternative count of unlawful wounding. Richards was accused of attempting to murder Michael Modeste on October 13, 2007, at Beetham Gardens. He was before Justice Hayden St Clair-Douglas in the Port of Spain Fourth Criminal Court. After deliberating for just under an hour, a nine-member jury of five women and four men returned their verdicts. 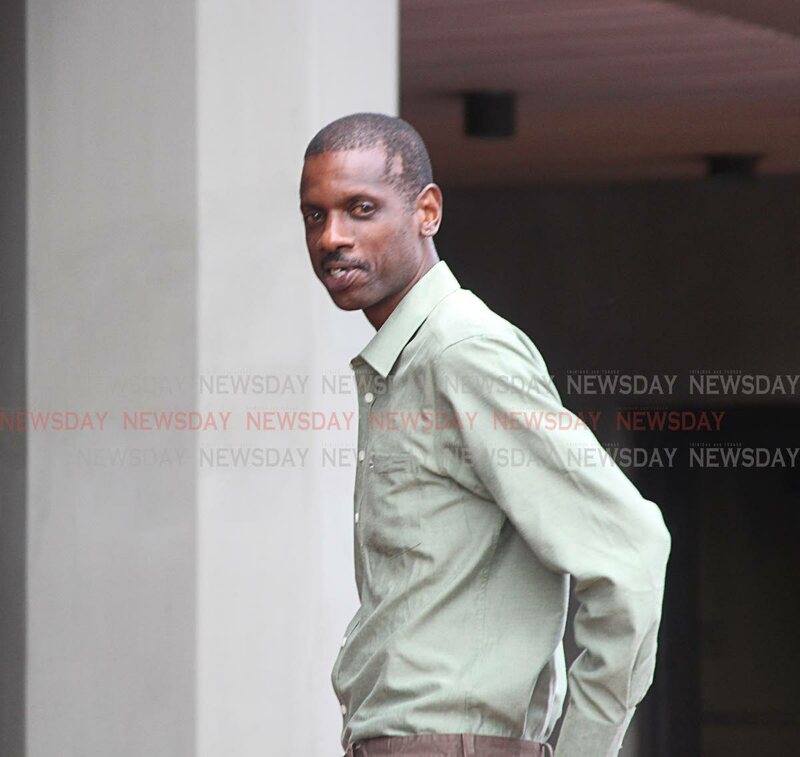 Richards was an estate constable with G4S security firm, when it is alleged he went home to 22nd Street, Beetham Gardens, and shot Modeste, who is alleged to have been having an affair with Richards’ wife, Nicole. Modeste claimed he was shot after he and Nicole “did a thing” in her bedroom. She denied this in her evidence. She also denied coming to court to lie for her husband so that their family could reunite. They are separated, with Garth Richards living in El Socorro and she at Beetham Gardens. She also denied Modeste broke off their sexual relationship after the shooting. Richards’ contention at his trial was that the gun “went off” in one motion. He was represented by attorney Lennox Sankersingh. State attorney Joy Balkaran prosecuted. Reply to "HORNED MAN FREED"